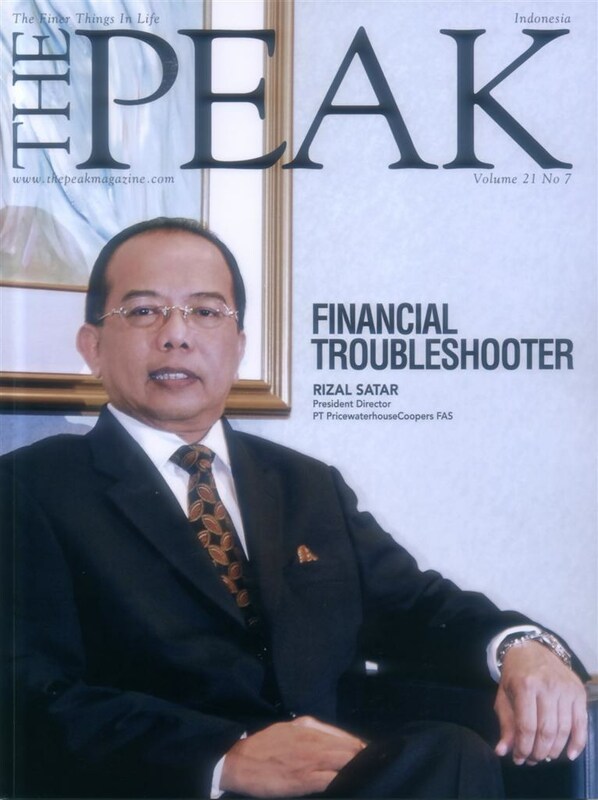 Optimism for the future of Indonesia’s financial sector has motivated Rizal Satar to work for one of the world’s largest professional services firms. Aulia Rachmat reports. 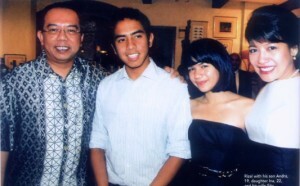 While breaking the fast at his state-of-the-art office in Jakarta during Ramadhan, PT PricewaterhouseCoopers (PwC) FAS president director Rizal Satar confided that he was reading a biography of US presidential candidate Barack Obama. He added that he would not be surprised to see him sitting in the White House Oval Office sometime soon. The United States needs a charismatic leadership figure with a more inclusive foreign policy, says Rizal, who, with his younger brother (Garuda Indonesia Airline CEO) Emirsyah, went to the same primary school as Obama at SD Besuki (now SDN Menteng), Central Jakarta, in the late 1960s. “My parents’ house was right next to the school. Obama and Emirsyah were in the same class and I was two years older than they were,” says Rizal, reminiscing. Like many Indonesians, Rizal has taken more than a passing interest in Obama’s bid for the presidency. Just as the impact of the global financial and economic crisis came to dominate the latter stages of the US presidential campaigns, so it has in Indonesia. Trading here was suspended temporarily on the stock market and the rupiah became unstable, the latter a reminder of the worrying situation that existed in the early years of the current decade. Rizal is concerned about the implications of the crisis, particularly for the financial sector, including banking, insurance and capital markets. “The tightening of financial liquidity could hit countries in Asia in such a way that banks may not be able to disburse either corporate or consumer loans. If that happens, it will inevitably affect the economy and slow down its growth,” he says. Despite the gloomy prognosis, Rizal retains a basic optimism: “Even though a recession likely awaits some Asian countries, I’m convinced that Indonesia is better prepared in comparison with those that didn’t previously experience the monetary crisis (in 1997-98),” he observes. Married to Sita for 26 years, Rizal has a daughter, Inta, 22, currently pursuing her master’s degree in finance at Monash University, Melbourne, Australia, and a son, Andra, 19, studying law at Universitas Pelita Harapan, Jakarta. Rizal is himself the son of a diplomat who was posted to many different locations. Rizal has therefore lived in a number of countries, including France and Mexico. 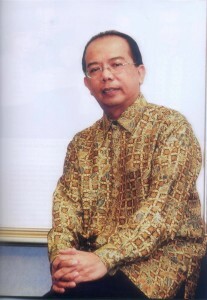 He was born in Hong Kong on May 16, 1957, during his father’s posting as an Indonesian economic attaché to the territory. Coming from an educated family, Rizal’s parents transferred to their children a love of reading. Rizal now enjoys technical finance books, as well as biographies. Recent personalities include Kevin Rudd, John McCain, Richard Branson, Kerry Packer and, of course, Barack Obama. Rizal likes to swim, which he does most mornings in the pool at home before gearing up for his daily routine. “I used to play golf at Jagorawi Golf Course, but haven’t done so for two years now,” he says, with a slight trace of regret. “I also like taking photos of beautiful scenery when travelling, but I never had the time to learn how to do it properly,” he explains, adding that he would very much like to improve his photography skills. He therefore decided, shrewdly, to continue undergraduate studies in business administration from 1984 to 1985 at European University Antwerp in Belgium before gaining a master’s in accounting and finance from Institute d’Eseignment Supérieur Lucier Cooremans in Brussels, in 1986. Subsequently, Rizal held positions at a variety of companies in the leasing industry, working as an account officer in 1986 to becoming marketing director in 1992. He joined PwC Indonesia in 1999 as an adviser at director level, becoming a partner in 2000. Appointed to his current position in 2004, he leads some 120 staff in what is potentially the most challenging PwC division. His division is also called upon to ensure that companies are complying with international legislation designed to eliminate corrupt practices, in which local branches of multinational companies might be tempted to engage. A much greater proportion of Rizal’s time, though, is spent in providing assistance to companies and banks in mergers and acquisitions (M&As;). In fact, it has become a source of professional fulfilment for him that PwC has taken on this enabling role. “If the M&A; process is not executed well, much of the value of an acquired company can evaporate!” Rizal exclaims. Previously, acquisitions were proposed as part of business expansion strategy. In the last few years, however, more and more M&A; activities, particularly in the mining sector, are the result of a need to secure raw materials necessary for the acquiring company’s operations. “For example, foreign companies with power stations would acquire coal mines in Indonesia to secure their raw material needs. It’s a change in wind direction,” Rizal explains. Indonesia is blessed with abundant natural and human resources, and Rizal expresses confidence in the future, regardless of the perceived difficulties that currently engulf the country: “Indonesia is still an attractive destination to foreign investors,” he says. Rizal is a member of the Indonesian Forum Foundation, a think tank comprising Indonesian businesspeople, bureaucrats and professionals who offer impartial economic and financial advice to the government. Like the World Bank, the foundation envisages that, along with other emerging economies, Indonesia is likely to become a major player in the New World Order in a matter of decades. “I believe that Indonesia is in the process of transforming itself into one of the world’s major economic players,” he adds. In spite of the number of risks Indonesia still faces en route to gaining this status, Rizal is broadly satisfied with how the current government is revamping the national economy: “At least I can see some progress in tackling corruption!” he says. Notwithstanding busy days that often end up as late nights (“meetings sometimes till midnight”), Rizal finds the time to engage in social activities and participate in outside organisations. One of these is PwCare, an important part of the firm’s corporate social responsibility agenda. Standing for “People who Care”, the programme has been established from within the company to help local communities and other charitable organisations. Its activities focus mainly on the national improvement of education, health and poverty, as well as providing assistance in natural disasters. “Among PwCare’s ad-hoc activities are collecting donated goods and providing assistance to the victims of natural disasters such as earthquakes, tsunamis and flooding. And, no less important, together with non-governmental organisation Nurani Dunia, PwCare has taken part in a schools reconstruction program to improve the state of dozens of school buildings that are on the verge of collapse in Jakarta,” Rizal says. Corporate social responsibility towards the wider community is, clearly, taken seriously by a large firm like PwC operating in a developing country like Indonesia. Nevertheless, the company first has to earn its profits before it can share their benefits. Given his wealth of experience in the financial services field, what is Rizal’s recipe for success at both individual and corporate levels? Published in The Peak Magazine Indonesia, December 2008, as a cover story.